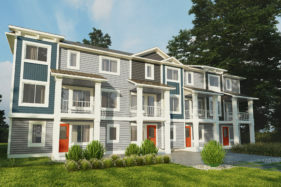 Make your first home a designer townhome in Belle Rive! Choose between two floor plans that offer up to 1445 sq ft in space. Select from six designer interiors with stunning standard finishes. Contact Daphne at Daphne.Chan@rohitgroup.com or 780-722-2804 for more information. Bulyea Heights - Over 80% Sold! Find your beautiful first home in Bulyea Heights! 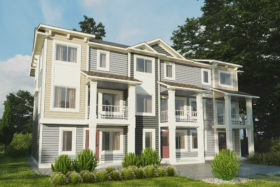 Located in the desirable Riverbend area, these townhomes offer up to 1445 sq ft in space. Choose from six stunning designer interiors with lovely finishes. Priced from the $280,000's. Twin Brooks Townhomes – Now 50% Sold! Twin Brooks is one of Edmonton’s most established and scenic communities; this is where the Whitemud Creek and Blackmud Creek meet. Rich with natural green space and walking trails, the area is close to the major arteries of 111th Street and The Anthony Henday, as well as the Century Park LRT station. It’s also just minutes from the shops, services and amenities on 23rd Avenue and a short drive from Southgate Shopping Centre. Choose from 3 tailored models and personalize your home from the $280,000's. Contact Lynn at 780-221-0417 or lynnl@landmarkhomes.ca for more information. 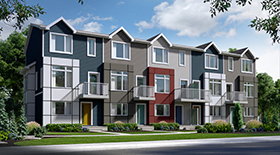 Introducing Larkspur Landing, Rohit’s new townhome condominium project in Southeast Edmonton! Larkspur Landing redefines what it means to own your first home with granite countertops, laminate floors, tile, 6 piece Samsung stainless steel appliances, full landscaping and street level double attached garages. With 2 different models and 2 or 3 bedroom options, you'll find the perfect home for your family! 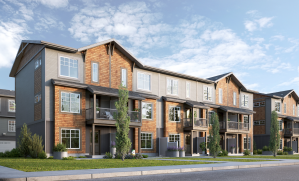 Blue Quill Townhomes – SOLD OUT! Interested in living in an established community rich in natural green space and minutes to shops, services and amenities? Visit us in Twin Brooks! 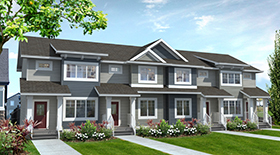 Contact Lynn at 780-221-0417 or lynnl@landmarkhomes.ca for more information on opportunities in Twin Brooks. When you're looking for spacious, affordable living in a distinguished area of the city, Kirkness Townhomes are waiting in northeast Edmonton. Majestic trees and picturesque parks are defining features of this welcoming and walkable neighbourhood. As an established area, Kirkness is well connected through the Edmonton Transit Service; the Clareview LRT Station provides quick and convenient transportation to the downtown core, University of Alberta and beyond. For active, growing families, Kirkness offers easy access to schools and community services. Contact Lynn at 780-702-7278 or lynnl@landmarkhomes.ca for more information. The journey to buying a new home is an exciting one. For first time home buyers, embarking on a new adventure to home ownership can come with a lot of questions, decision making, laughter, and tears – but the most important thing it comes down to is making that perfect home for you and your family a reality. The First Place Program is redefining what it means to own your first home, and bringing it within reach. Brand new home developments in a mature, established community means that everything you could ever need and want is right at your fingertips. Build your future with the First Place Program. First Place is a City of Edmonton program that gives home buyers who have never before owned property in Alberta the opportunity to purchase their first home! Contact the builder directly for more information – Rohit Communities or Landmark Group. All of the projects are listed on our locations page. 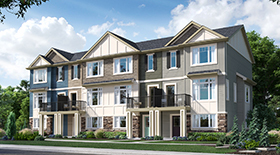 Visit the showhomes to find your new home! Deferred land payments and reduced CHMC insurance mortgage rates can make owning your first home easier. See if you qualify today!